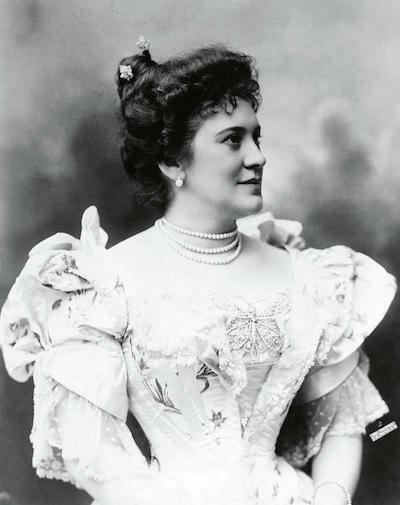 During the golden age of opera, at the turn of the century, soprano Lillian Nordica was the Aretha Franklin or Beyoncé of her time. The Maine diva traveled the world performing in opera houses and concert halls to adoring audiences, from royals to commoners alike. In Nordica’s honor, a museum was created at her family home in Farmington, Maine, and a scholarship in her name is given each year for outstanding vocal performance to a deserving Maine student at the state’s NATS (National Association of Teachers of Singing) vocal competition. The Nordica Scholarship is awarded to a singer who is studying in Maine and aspires to a career in classical singing. As part of the prize, the winner performs at the annual Nordica Day Concert. The winner of this year’s Nordica Scholarship is soprano Kiersten Curtis '17, who studied with University of Southern Maine School of Music voice faculty member Ellen Chickering. Receiving the Nordica Award is a tremendous honor, Curtis said. And it brings with it a sense of tradition as an award that keeps focus on the past, the present, and the future of classical singing, specifically in Maine. “Lillian Nordica was a famous opera singer from Maine, and as a girl who grew up in central Maine, I feel thankful for the chance to bring more classical music to Maine audiences, and to have the opportunity to share this beautiful art form with as many people as I can,” Curtis said. “I would never have received this honor without the diligent and unwavering instruction of my teacher, Professor Ellen Chickering, and the support of Scott Wheatley, my coach and accompanist. Both of them were instrumental to my time at USM’s School of Music, and they continue to be my biggest assets as I continue forward with plans to apply for graduate programs in the coming Fall,” she said. Curtis plans to live and work in Portland, and teach voice through the coming year. Congratulations to all our outstanding voice students in the USM School of Music!